The Ministry of Environment and Forests’ new Biomedical Waste Management Rules 2016 “will change the way the country used to manage biomedical waste” and “make a big difference to the Clean India Mission,” Union Minister of State for Environment, Forests and Climate Change, Prakash Javadekar, said, while releasing the rules recently. "Under the new regime, coverage has increased and (it) also provides for pre-treatment of lab waste, blood samples, etc. It mandates bar code system for proper control. It has simplified categorisation and authorization,” Javadekar added. To understand how the new rules are an improvement over the draft 2011 rules, we must know the broad system that deals with biomedical waste. Health care facilities (HCFs) must segregate biomedical waste (the wastes involved in diagnosis, treatment and immunisation such as human and animal anatomical waste, treatment apparatus such as needles and syringes and cytotoxic drugs) at the individual level in colored bags—yellow, red, blue/white and black according to the category of the biomedical waste. They can store this waste for up to 48 hours after which they either treat it in-situ or a worker from a common biomedical waste treatment facility (CBMWF) comes to collect it. The CMBWF then treats the waste according to the colour of the bag. Different colours call for different types of treatments—incineration, deep burial, autoclaving, shredding, chemical treatment, disposal in a landfill, etc. The first distinction between the new rules and those prescribed in 2011 is their range of application. While in 2011, the 1998 rules were amended to include all persons who generate, collect, receive, store and transport biomedical waste, the 2016 rules bring more clarity by specifying that vaccination camps, blood donation camps, surgical camps and all other HCFs have been included. The second distinction comes in the segregation, packaging, transport and storage of biomedical waste in an HCF. The 2011 draft demarcated eight categories of biomedical waste (down from ten categories in the 1998 notification). The 2016 notification further brings down the number of categories to four. “Reduction in categories does not mean that a particular kind of biomedical waste is not being adhered to. What it means is that all types of wastes have been compiled in four categories for ease of segregation at a healthcare facility,” Tripti Arora, programme manager at the non-profit Toxics Link, said. The new rules also explicitly lay down the duties of an HCF in adhering to the segregation, packaging and transport rules for the four different categories. The HCF is now responsible for pre-treatment of laboratory and microbiological waste, blood samples and blood bags through disinfection/sterilisation on-site in the manner prescribed by the World Health Organization (WHO) or National Aids Control Organisation (NACO), regardless of whether final treatment and disposal happens on-site or at a common biomedical waste treatment facility. Use of chlorinated plastic bags, gloves and blood bags is to be phased out by the HCF within two years to eliminate emission of dioxins and furans from burning of such wastes. The new rules also call for a bar code system for bags/containers containing biomedical waste and immunisation of health workers upon their induction and after every one year interval. “The bar code system can be used to track and identify bags better. But, it will be effective only when the onus for using barcodes is on CBMWFs. That again is possible only if CMBWFs provide bags to hospitals. This is not happening right now,” Prem Agrawal of the National Solid Waste Association of India (NSWAI), who also works as an independent environment researcher, said. The new rules also specify the duties of the operator of the CBMWFs: In addition to the duties of the occupier of an HCF, the operator of a CMBWF must ensure timely collection of biomedical waste from HCFs and assist them in training. Another distinction comes in the treatment and disposal of biomedical waste. According to the 2011 draft, every HCF shall set requisite bio-medical waste treatment facilities like incinerator, autoclave, microwave system for the treatment of waste, or, ensure requisite treatment at a common biomedical waste treatment facility. These rules do not state where an on-site treatment facility is necessary and where dependence on a CMBWF is justified. It also does not mention who will provide land for the setup of a CBMWF. The 2016 rules make the guideline more specific: The Department dealing with allocation of land in the state government shall provide land for setting up a common biomedical waste treatment and disposal facility but no occupier of an HCF shall establish an on-site treatment and disposal facility if a CBMWF is available within 75 km. The new rules also have stricter standards of emission from incinerators: In 2011, the acceptable SPM emission was 150 mg/Nm^3 at 12 per cent CO2 correction. This has been reduced to 50 mg/Nm^3 in the new rules. Similarly, the standard retention time in the secondary chamber has been increased from 1 second to 2 seconds. The secondary chamber in incineration is where the temperature is lowered to 100 or 200 degree Celsius. “This is done to reduce dioxins and furans as, at low temperature, incineration of biomedical waste leads to the production of carbon dioxide and water. Dioxins and furans are produced at temperatures greater than 600 degree celsius,” Arora said. Further, the new rules lay new criteria for authorisation of a HCF. In 1998, the rules said that hospitals with more than 1,000 beds must obtain authorisation from State Pollution Control Boards (SPCBs) while the 2011 darft expanded the ambit of institutions that require authorisation to include all HCFs. The new rules make the procedure of getting an authorisation very simple: Bedded hospitals will get automatic authorisation and non-bedded hospitals will get a one-time authorisation. “Non-bedded hospitals are generally small scale clinics that do not keep a record of the waste generated and the number of beds. So, they cannot be charged on a per bed basis like bedded hospitals. That is why, they are authorised once and yearly/half-yearly/quarterly prices for treatment are fixed accordingly,” Agrawal said. Another improvement in the new rules is in the monitoring sector. While the 2011 rules have no provision for a monitoring authority, the 2016 rules state that the MoEF will review HCFs once a year through state health secretaries, the SPCB and the CPCB. The SPCB, in its turn, will oversee implementation through district level monitoring committees that will report to the State advisory Committee or the SPCB. Moreover, according to the new rules, the advisory committee on biomedical waste management is now mandated to meet every six months. The total biomedical waste generated in the country is 484 Tonnes Per Day (TPD) from 1,68,869 HCFs. Of this, only 447 TPD is treated before disposal. 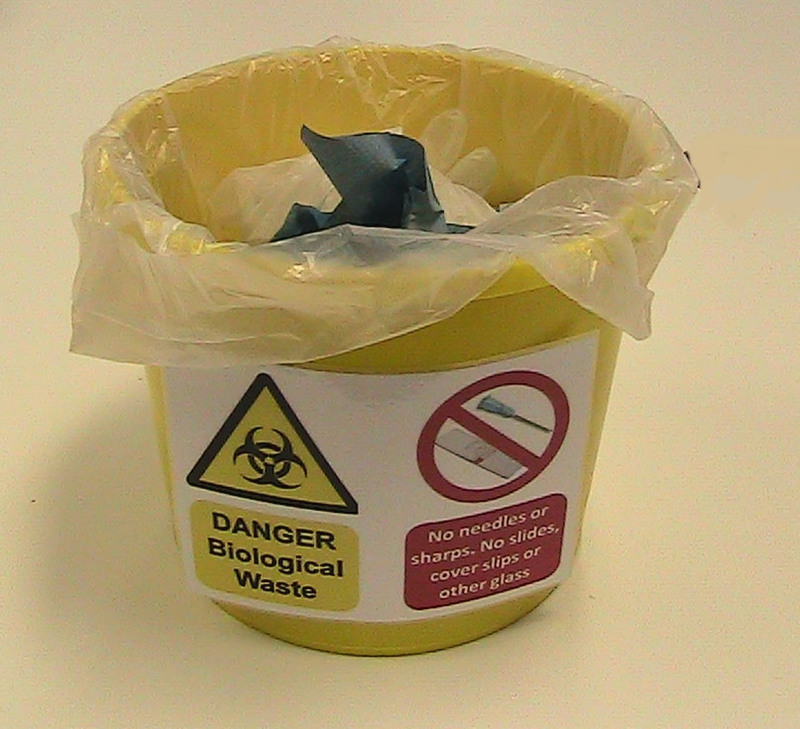 The problems with unscientific disposal are multi-fold: 85 per cent of the hospital waste is non-hazardous, 15 per cent is infectious/hazardous. Mixing of hazardous results in to contamination and makes the entire waste hazardous. Hence, there is necessity to segregate and treat. Improper disposal increases risk of infection; encourages recycling of prohibited disposables and disposed drugs; and develops resistant microorganisms. Biomedical waste management non compliance is a serious issue which should be dealt with more stringent laws. According to BMW rules and Indian laws strict punishment needs to be incurred upon and should be clearly defined starting from violation of segregation till the final disposal as it causes irreversible damage to living beings and environment. what are the rules of 50+(Beded) hospital in Biomedical waste management system.